27 September 2018 – Conference event in Maribor, Slovenia, EU. We count on your professional knowledge and practical experience, interesting theories and different solutions for solving this problem. That’s why we kindly invite you to share them with other authors and discussants, including scientific & other researchers, top consultants, other experts and experienced practitioners, with joining this conference as audience and/or with contributing your paper. Thus, much information will be collected at one spot to be applied in research and practice – therefore you should not miss this conference! Share your ideas, dilemmas, and views with speakers and other participants. The number of speakers is limited. Please find some crucial instructions for authors of papers in further reading. We would like to welcome also youth authors of papers. Please do not hesitate to report about your work on different topics of our conference! 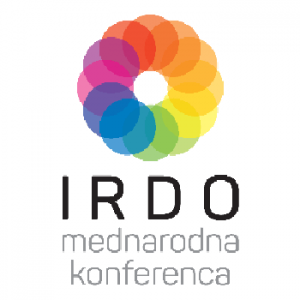 Looking forward to enjoy your company at the 13th IRDO conference on 27th September 2018 in Maribor, Slovenia!